A decision on airport expansion in the south-east is due next week. After a string of delays, the preferred option for boosting capacity in the south-east of England is expected to be announced next week. In a letter to ministers yesterday, Theresa May said colleagues with long-standing views or constituency interests on the issue would be given an “exceptional and limited” freedom to speak out against the decision. They will not be permitted to campaign against it or call into question the process by which it was reached, however. The prime minister’s correspondence also confirmed a “full and fair” public consultation would take place following the decision on the government’s favoured scheme, to be determined by a Cabinet sub-committee of nine ministers. Only then will it be put to the House of Commons for a vote in the winter of 2017-18, meaning the final decision in the already protracted process remains at least a year off. The unusual step of allowing Cabinet ministers to express a personal view is a clear attempt at heading off resignations. 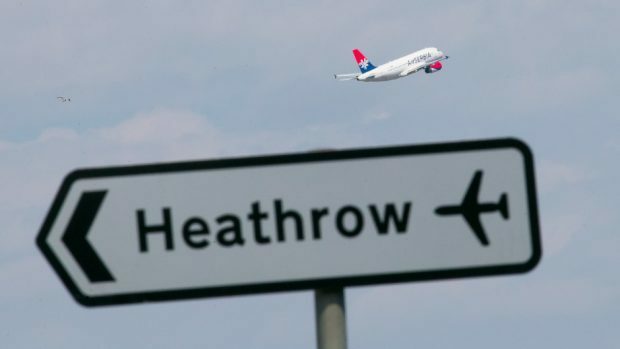 It has also been widely interpreted as the strongest indication yet that London Heathrow will be allowed to expand, as recommended by the Airports Commission. While both Foreign Secretary Boris Johnson and Education Secretary Justine Greening have been fierce in their criticism of the option, the proposals for London Gatwick have attracted much less controversy. Neither airport would comment on the growing speculation last night. North-east Labour MSP Lewis Macdonald said the decision to allow Cabinet members to criticise was “remarkable evidence of a deeply divided government”. Former Scottish secretary Alistair Carmichael said the Tories were “yet again putting management of their own splits above the national interest”. Mrs May’s official spokeswoman said her “mature, common-sense approach” reflected the fact many ministers have long-held views and constituency issues to address. But she refused to confirm whether they would be given a free vote when the matter comes before the House or how long their freedom to criticise would last.